Sidestream Disposable Nebulizers - SHIPS FREE! 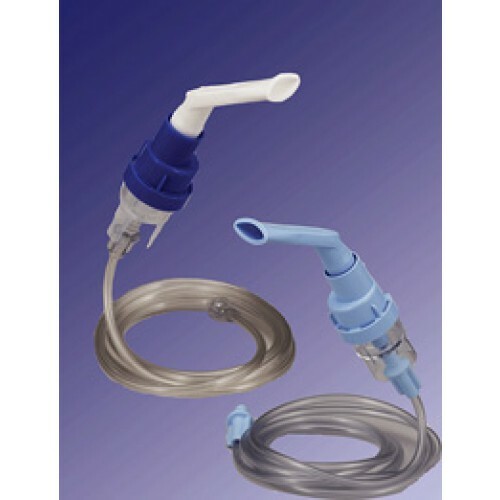 Sidestream Reusable Nebulizers - SHIPS FREE! Provides maximum aerosol quality and respirable output for the delivery of most commonly prescribed medications. The Sidestream uses a Venturi design offers some of the fastest drug delivery times to reduce treatment sessions. The Sidestream guarantees faster treatment times with a 2.5ml of drug output within 7 minutes. Yet quantity is not the same as quality. The Sidestream is also highly efficient (80% of drug output volume is below 5 microns in size). The Sidestream's active venturi system provides additional flow to the patient of up to 16 lpm above compressor output, resulting in faster treatment time. This is in stark contrast with traditional nebulizers which are limited to the compressor's flow output. 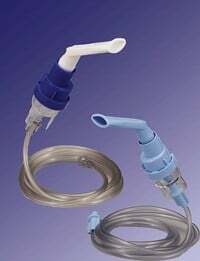 Available in two main types: Reusable (RESHS800) and Disposable (RESHS860) the Sidestream is an economical buy for patients with any need. The RESHS800 (Disposable) Sidestream can be used for 2 weeks before replacing, while the RESHS860 (Reusable) Sidestream can be used for 6 months before replacing. All in all, the Sidestream is a great way to provide optimal patient care with minimal administrative effort. Delighted in the quick order arrival - one week instead of the 2-3 week time frame indicated when ordered. Items as ordered, and was able to replace old one immediately. Cost was very reasonable. Will reorder again. I'd give it 5 stars, but sometimes the mouthpiece disconnects from the bowl. This has happened a few times with different nebulizers, though only during the first week of use. Best gift I've received from my sister. I've known my sister to be very thrifty. He seldom buys me gift for occasions and when she does, it will just be a shirt, perfume or kitchen accessories. Not that I don't appreciate her gestures, it's just that I know that the reason she buys those stuff for me is that she is very uptight in her finances. Not too long ago she bought me this as a present. She said she knew that the neb at my home is just borrowed from a neighbor and that she thinks its unhygienic to borrow. so she figured she's buy me one since it is for my health.